... come up again and again in discussions with "Revisionist" fanatics. If you could now show us where the IMT concluded on “4 million Jews in Auschwitz and steaming to death 900,000 Jews in Treblinka”, and which findings of fact in its judgment were based on “common knowledge” rather than documentary and eyewitness evidence assessed at the trial, that would be something. Otherwise, better keep your trap shut. The one who should keep his big trap shut is Saint Roberto, the enlightened one. By the way, how did you achieve that enlightened status about the Holocaust myth? Did you do those koans of the Zen practice? Both the “4 million Jews in Auschwitz" and the "steaming to death of 900,000 Jews in Treblinka” were part of the Soviet and Polish indictments of those kangaroo trials and were not objected to by anybody to my knowledge. or were they? Since you told us that you once read the whole trial protocols (only idiots would do such stupid things to read 100,000 pages of text) you can check out the details yourself and avoid in the furture such stupid questions. Hans Frank, Wilhelm Frick, Walther Funk, Hermann Göring, Alfred Jodl, Ernst Kaltenbrunner, Wilhelm Keitel, Konstantin von Neurath, Joachim von Ribbentrop, Alfred Rosenberg, Fritz Sauckel, Baldur von Schirach, Albert Speer, Julius Streicher, Oswald Pohl. »The Tribunal shall not be bound by technical rules of evidence. 1. The International Military Tribunal, at the Nuremberg Trial of German Major War Criminals, declared it a fact that 4 million Jews had been killed in Auschwitz-Birkenau concentration camp. 2. The International Military Tribunal, at the same trial, declared it a fact that 900,000 Jews had been steamed to death at Treblinka. 3. The International Military Tribunal reached these findings of fact because it was not bound by technical rules of evidence. 4. The International Military Tribunal simply proclaimed the killing of 4 million Jews at Auschwitz and the steaming to death of 900,000 Jews at Treblinka to be facts of common knowledge and took judicial notice thereof, instead of asking for evidence supporting these allegations and examining that evidence. Expanding on the reply I gave Mr. "Bergmann" in my RODOH post # 6996, I shall now address these claims, one by one. 1. The International Military Tribunal, at the Nuremberg Trial of the Major War Criminals, declared it a fact that 4 million Jews had been killed in Auschwitz-Birkenau concentration camp. At a criminal trial, the document that shows the conclusions that the tribunal eventually arrived at after assessing the evidence presented by prosecution and defense, or procured by itself, is the judgment. In the judgment one can see which of the prosecution’s allegations the tribunal considered to have been proven beyond a reasonable doubt. One should therefore look at the Judgment of the International Military Tribunal for the Trial of German Major War Criminals in order to establish whether, as claimed by Mr. Bergmann, the IMT declared the killing of 4 million Jews at Auschwitz-Birkenau to be a proven fact. Emphases in the above quote are mine. As can be seen, the IMT made no statements of its own regarding the number of people killed at Auschwitz-Birkenau, instead limiting itself to reproducing the estimate of former camp commandant Rudolf Höss that «2,500,000 persons were exterminated, and that a further 500,000 died from disease and starvation» under his administration between May 1940 and December 1943. There was also no statement in the sense that the victims of Auschwitz-Birkenau had all or mainly been Jews, which – independently of the fact that the majority of this camp’s victims were indeed Jews – belies the "Jews" part of the "4 million Jews" claim. The IMT did well not to declare the figures given by Höss to be proven facts, for they were well above the mark; Höss himself would in his later pre-trial interrogations in Poland reduce the 3 million death toll mentioned in his testimony before the IMT to a realistic order of magnitude around 1 million, which has been confirmed by historical research. But that’s not the point of this exercise. The point of this exercise is to show that Mr. "Bergmann" should at least have read the IMT’s judgment before stating his claim, instead of shooting bull so easy to debunk. Nothing here about the victims’ ethnic or religious background; they were just stated to be citizens of various countries including Poland, the U.S.S.R., the United States of America, Great Britain, Czechoslovakia and France, period. 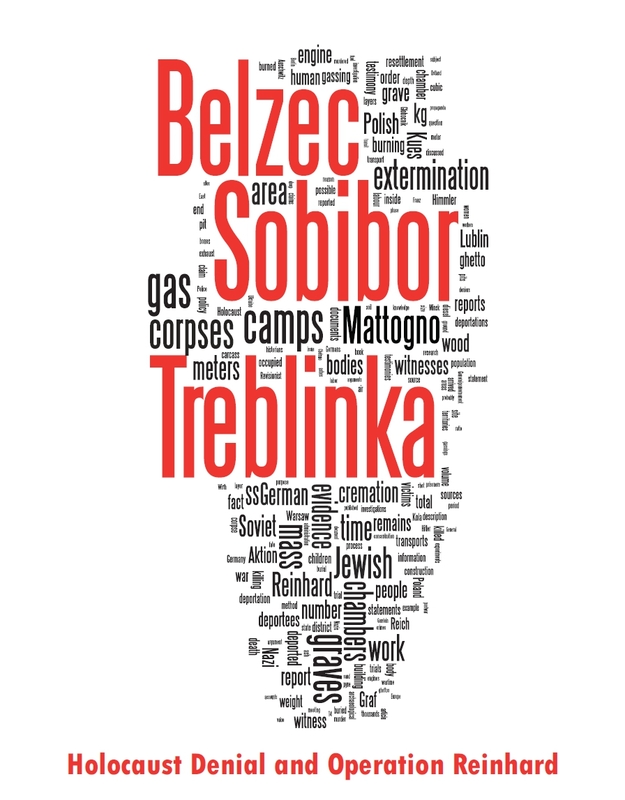 Unlike Auschwitz and Majdanek, Treblinka is not even mentioned under Count Three – War Crimes of the Indictment. In the judgment it is referred to along with Auschwitz as one of the camps that "were set aside" for the “main purpose” of destroying Jews not fit to work in gas chambers. However, there is not even an indication in the judgment about the number of people killed at Treblinka. Mr. "Bergmann" may have mixed up the Nuremberg Trial of the Major War Criminals with the trial of Treblinka’s commander Franz Stangl before a West German court in Düsseldorf, Germany, the judgment of which was issued on 22 December 1970 (LG Düsseldorf vom 22.12.1970, 8 Ks 1/69 , some excerpts of which are transcribed here). At this judgment the court, based on an expert opinion provided by German historian Wolfgang Scheffler, concluded that at least 900,000 people, most of them Jews, had been killed at Treblinka. Yet the main "Revisionist" fuss in connection with the Nuremberg IMT’s findings regarding Treblinka is the claim that the IMT proclaimed the victims of that camp to have been killed by a somewhat improbable method, "steaming to death". Late in April 1942 erection was completed of the first chambers in which these general massacres were to be performed by means of steam. After being filled up to capacity, the chambers were hermetically closed and steam was let in. This erroneous description of the killing method – the victims in the gas chambers were not killed "by means of steam" but poisoned/asphyxiated with engine exhaust – may have been related to the report being based on the account of an outside observer of the camp who, not knowing what the foggy substance was that came out of the gas chambers when they were opened on a cold day (it may have been the engine exhaust and/or steam produced by the differences in temperature between the cold outside and the cumulated body heat in the gas chamber), speculated that it was hot steam, which the victims had been boiled to death with. What matters here, however, is not how this error came into being but whether it found its way into the IMT’s judgment, for this alone would introduce an inaccuracy into the results of the Nuremberg Trial of German Major War Criminals. Even an elementary knowledge of criminal trial procedures should be sufficient to understand that, just because an exhibit was introduced as evidence at a trial, this doesn’t necessarily mean that the tribunal accepted all or part of that exhibit’s contents as reliable and a basis for its findings of fact. All who were fit to work were used as slave labourers in the concentration camps; all who were not fit to work were destroyed in gas chambers and their bodies burnt. Certain concentration camps such as Treblinka and Auschwitz were set aside for this main purpose. So Treblinka was accurately stated in the IMT’s judgment to have been a place were Jews not fit to work were destroyed in gas chambers, i.e. killed by gassing and not by "steaming to death". The IMT presumably arrived at this conclusion regarding the killing method, and accordingly dismissed the description of that method in the above-mentioned Polish report, based on the testimony of Samuel Rajzman. Rajzman clearly stated that the killing had been done in gas chambers. 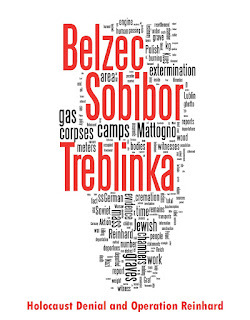 In the spring of 1942 an extermination camp was established at Treblinka. It contained 10 death chambers and opened up for business in the early autumn of 1943. Death was inflicted here by gas and steam, as well as by electric current. This statement is not part of the Opinion and Judgment of the United States Military Tribunal II against Pohl et al, however. It is contained in a Concurring Opinion by Judge Michael A. Musmanno, the pretense of which, as Musmanno stated here , was to provide «one document sufficiently comprehensive to which the legal profession and the lay public, now and in the future, can turn for an authoritative account on concentration camps» so that these future readers would not «be required to read through thousands of pages of transcript and scan tons of documents to obtain an adequate picture of this supreme crime against humanity through the ages». Said account was thus not a statement of findings of fact essential to the tribunal’s judgment against Pohl et al, but a friendly service to future readers of the trial documentation, meant to save them the work of having to go through all the files in order to make themselves familiar with “this supreme crime against humanity throughout the ages” as pictured by the evidence. While Musmanno’s account, despite its somewhat emotional tone (he wrote, for instance, that «In comparison to Hoess, Genghis Khan was a Sunday school boy, Torquemada an entertaining Micawber, and Ivan The Terrible, an innocuous, benevolent, old man.») can indeed be considered authoritative, in the light of later research, in what concerns many aspects of the Nazi system and its crimes, the part dealing with the killing methods applied at Treblinka is clearly one of the inaccuracies – there are also others, like when Musmanno locates at Auschwitz Kurt Gerstein’s description of a gassing at Belzec – that diminish the authoritativeness of Musmanno’s record. However, and incomprehensible though it is – given the above-mentioned evidence previously assessed by the International Military Tribunal, namely Rajzman’s testimony, and the above-quoted findings of fact stated in the IMT’s judgment – that Musmanno spoke of death by “steam, as well as by electric current” besides gassing at Treblinka, Musmanno’s opinion was a document separate from the tribunal’s judgment against Pohl et al and not part of the tribunal’s findings of facts stated in that judgment, in which the tribunal expressed its concurrence with the IMT’s findings of fact regarding the persecution of the Jews. This means that, contrary to what Mr. “Bergmann” claims, the “steaming to death” of people at Treblinka was not part of the sentence against Pohl any more than it was a part of the sentences against those defendants at the Nuremberg Trial of German Major War Criminals whom the IMT convicted on the War Crimes and Crimes against Humanity charges. The implication is that the absence of technical rules of evidence means there was no adequate assessment of the evidence in favor and against the defendants. To establish whether this implication holds water, one must first understand what technical rules of evidence are and what effect they have. The rules that govern the method of presentation and admissibility of oral and documentary evidence at Court hearings or depositions. Rules of law which determine which testimony, documents, etc. should be submitted for consideration by a judge or a jury, and the weight such evidence is to be given in determining a question of fact. Rules of evidence govern whether, when, how, and for what purpose proof of a case may be placed before a trier of fact for consideration. c) what weight it must or may give to such evidence. Rules of evidence like the US Federal Rules of Evidence, contain strict stipulations as to what types of evidence may or may not be used to establish facts in general or certain types of facts. Thus, for example, Rule 602 stipulates that «A witness may not testify to a matter unless evidence is introduced sufficient to support a finding that the witness has personal knowledge of the matter». According to Rule 608, «The credibility of a witness may be attacked or supported by evidence in the form of opinion or reputation», subject to certain limitations. Specific instances of the conduct of a witness, other than conviction of crime, «may not be proved by extrinsic evidence» for the purpose of attacking or supporting the witness' character for truthfulness, according to the same rule. Evidence that a witness has been convicted of a crime shall be admitted or not for the purpose «of attacking the credibility character for truthfulness of a witness», pursuant to the provisions of Rule 609. According to Rule 802, hearsay is not admissible as evidence, except if it falls under one of the numerous exceptions provided by the Federal Rules of Evidence themselves, by other rules prescribed by the Supreme Court pursuant to statutory authority or by Act of Congress. Proof of the content of a writing, recording or photograph generally requires submission of the original (Rule 1002), subject to a number of exceptions including but not limited to those established in Rules 1003 to 1007. And so on. About the result of the hearing of evidence the court decides according to its free conviction derived from the trial as a whole. This means that the court is, on the one hand, obliged to take all evidence into consideration in its decision (provided of course that the evidence is relevant and has been lawfully obtained). It is free, however, in determining what facts it considers proven by what elements of evidence submitted, why it holds a certain witness to be credible or not, etc., without being bound to requirements other than the absence of reasonable doubt as to the facts it considers proven. As to your notion that the Tribunal’s procedures were flawed because it was not bound by formal rules of evidence and could take judicial notice of governmental documents, I can only say that however highly we in the US regard our own rules of evidence that regard is not generally shared on the Continent (at least in France, which I know quite a bit about, and in Germany, which I think I know something of) and they seem to get along pretty well without them. Don’t forget that half the members of the Court were continental lawyers, and as far as I know none of the defense lawyers were familiar with our highly technical evidentiary rules. Moreover, even in the US, in cases where a judge, rather than a jury is the trier of fact, our evidentiary rules are often ignored and the judge allowed to give the evidence whatever weight he deems it’s worthy of. And in our own practice judicial notice is customarily taken of governmental documents if prepared in the ordinary course of business, or if purporting to reflect official acts or decisions. The hearing need not be conducted according to the technical rules of evidence relating to evidence and witnesses. (c) may receive and base a decision on evidence adduced in the proceedings that it considers credible or trustworthy in the circumstances. In any investigation or hearing, the commissioner shall not be bound by the technical rules of evidence. The technical rules of evidence do not apply. Any evidence may be received, except that an Administrative Law Judge may exclude any evidence or offer of proof which is immaterial, irrelevant, unduly repetitious, or customarily privileged. Every party shall have a right to present his case by oral and documentary evidence and to submit rebuttal evidence. It having thus been shown that there is nothing sinister about the absence of technical rules of evidence at a judicial proceeding, the question that remains to be examined is, why were technical rules of evidence excluded when putting together the Charter of the International Military Tribunal? The rules of evidence that should govern the tribunal might have caused serious disagreement if we had insisted on our own. Continental lawyers regard or common-law rules of evidence with abhorrence. Since they were involved in response to the peculiarities of trial by jury, we saw no reason to urge their use in an international trial before professional judges. They have not generally been followed by international tribunals. [my emphasis – RM] We settled, therefore, upon one simple rule: that the tribunal "shall admit any evidence which it deems to have probative value." While this vested considerable discretion in the tribunal, it had the merit of making admission of evidence turn on the value of what was proffered rather than upon compliance with some formal rule of evidence. So the reason for the absence of technical rules of evidence at the Nuremberg Trial of German Major War Criminals was clearly not anyone’s intention to screw the defendants, as their "Revisionist" apologists would like to believe. The American jurists wanted to apply technical rules of evidence such as were applied in the US, but this approach was disliked by the jurists from Continental Europe involved in the making of the Charter, presumably for the simple reason that they and/or the Continental European judges nominated as members of the International Military Tribunal didn’t know a thing about US-type rules of evidence and accordingly would have been unable to handle them at the trial. The Americans decided to compromise, as said rules «were involved in response to the peculiarities of trial by jury» and they thus saw no reason to urge the use of these rules «in an international trial before professional judges». This compromise, as Mr. Kaschner pointed out, arguably benefited the defense insofar as none of the German lawyers acting as defense attorneys was familiar with technical rules of evidence as applied in the US. At the later trials before the Nuremberg Military Tribunal, which were a purely American affair, this compromise was no longer necessary, however. This was probably the reason why, for instance, the Einsatzgruppen Trial was conducted in accordance with US rules of evidence, as mentioned by Yale F. Edeiken in his recommendable article An Introduction to the Einsatzgruppen. Regarding the second sentence of this provision, Mr. Kaschner (see above quote) pointed out that, also in US juridical practice, «judicial notice is customarily taken of governmental documents if prepared in the ordinary course of business, or if purporting to reflect official acts or decisions». This rule governs only judicial notice of adjudicative facts. A judicially noticed fact must be one not subject to reasonable dispute in that it is either (1) generally known within the territorial jurisdiction of the trial court or (2) capable of accurate and ready determination by resort to sources whose accuracy cannot reasonably be questioned. A court may take judicial notice, whether requested or not. A court shall take judicial notice if requested by a party and supplied with the necessary information. (e) Opportunity to be heard. A party is entitled upon timely request to an opportunity to be heard as to the propriety of taking judicial notice and the tenor of the matter noticed. In the absence of prior notification, the request may be made after judicial notice has been taken. (f) Time of taking notice. Judicial notice may be taken at any stage of the proceeding. In a civil action or proceeding, the court shall instruct the jury to accept as conclusive any fact judicially noticed. In a criminal case, the court shall instruct the jury that it may, but is not required to, accept as conclusive any fact judicially noticed. The definition of a "judicially noticed fact" in subdivision (b) of Rule 201 describes what is generally held to characterize a fact of "common" or "generalized" knowledge, according to the Notes to Rule 201: it is a fact that is (1) generally known within the territorial jurisdiction of the trial court or (2) capable of accurate and ready determination by resort to sources whose accuracy cannot reasonably be questioned. According to a California judge’s ruling at a lawsuit between Mr. Mel Mermelstein and the "Institute of Historical Review", the fact that Jews were gassed to death at the Auschwitz Concentration Camp in Poland during the summer of 1944 was to be considered a fact subject to the taking of judicial notice because it was «not reasonably subject to dispute» and «capable of immediate and accurate determination by resort to sources of reasonably indisputable accuracy». While the above shows that there is nothing sinister about a provision allowing the IMT to take judicial notice of facts of common knowledge rather than require proof of such facts, this doesn't mean that the mass murder at Nazi extermination camps could be considered a fact of common knowledge already at the time of the Nuremberg Trial of German Major War Criminals in 1945/46, when criminal justice authorities were only beginning to investigate these crimes. Accordingly, and contrary to what Mr. "Bergmann" claims, the IMT did not pronounce these crimes to be facts of common knowledge and simply take judicial notice thereof, but looked at evidence regarding the occurrence and scale of these crimes. None of this evidence would have been required it the IMT had simply taken judicial notice of the mass killings at Auschwitz-Birkenau and Treblinka as facts of common knowledge. This means that the "Revisionist" claim under examination is false, just like the others before. At the International Military Tribunal at Nuremberg in 1945, the Soviet Union charged that the Nazis had made soap from human fat in the concentration camps. Soap that was allegedly made from human fat was displayed in the court room, but no forensic report on the soap was presented. No forsensic proof was required because it was common knowledge that the Nazis had made soap out of the Jews. Article 23 of the Constitution of the International Military Tribunal stated that "The Tribunal shall not require proof of facts of common knowledge but shall take judicial notice thereof." • the sworn statement of British POW William Anderson Neely (Exhibit USSR-272). Whatever one may say against the evidentiary quality of these exhibits and their conclusiveness as proof of an intention to manufacture soap from human bodies, rather than the mere use of maceration fat for cleaning purposes, the fact is that the Soviet prosecutor presented a fair amount of evidence for an allegation which, had it been deemed a fact of common knowledge, would have required no evidence at all. After cremation the ashes were used for fertilizer, and in some instances attempts were made to utilise the fat from the bodies of the victims in the commercial manufacture of soap. Let’s hope that the Scrapbookpages don’t contain too many ignorant claims like the one under discussion. Otherwise their author should consider scrapping the first "S" in the name of his production. Thanks to Sergey for his valuable input to this article. After reading it, I see why my occasional denier interlocutors, after reading my painstaking and detailed answers to their idiocies, reply by attacking my writing ability and person rather than the facts of my argument. It's because they can't argue the facts, the truth, or the evidence. So, hoping to get an emotional outburst out of us, they attack our persons. It's all they have left. The facts are against them. So when the facts are shown to them, they flick them aside as "Jewish forgeries" and assault their opponent's person. In a sense, they're right about one thing...there is no real way to debate them...they will accept no evidence as fact, no statement as truth, and no opponent as honest and honorable. What then is there to debate with? Thanks. You sound like you could also write stuff like that, by the way. Thanks for the warm words. There remains still a problem with the mentioning of "soap" in the IMT's judgment. The manufacturing of soap from Nazi victims is listed there under the heading "Persecution of the Jews." Jews and Philosemites, as well as Holocaust deniers, read from this passage that the IMT stated that Jews were turned to soap, though doing this on a commercial scale was only "attempted" (which, however, only a minority of those who quote the judgment mentions). Here Jews and HDers alike are right, regretfully. Nizkor's heroic attempt to downplay the statement in the judgment by interpreting the text as saying that soap-making _itself_ was only "attempted," does not stand to text- and context-analytic scrutiny. Making soap from Nazi victims was stated as a "fact" by Soviet Prosecutor Smirnov, who even presented samples of this soap as evidence, and by British Chief Prosecutor Sir Shawcross during the trial. It seems that mentioning the "soap" in the judgment under the heading "Persecution of the Jews" was not arbritrarily done. First, in his closing address, on July 27, 1946, the British Chief Prosecutor, Sir Shawcross, already mentioned under the heading "Persecution of the Jews" and referring to the Nazis that "on occasion, even the bodies of their victims were used to make good the wartime shortage of soap." Second, in the trial proceedings published in the "Blue Series" there is in vol.7, pp. 174-175 (Feb 8, 1946) a statement by Soviet Chief Prosecutor Rudenko about the mass murder of "people" at Auschwitz, quoting "an extract of the appeal to the public opinion of the world from the representatives of several thousand former internees at Auschwitz": "... Fats and oils for technical purposes and for the manufacture of soap were also obtained from the corpses." That Rudenko does not mention "Jews" but only "people" was in line with official Soviet speech regulations, but everybody in the court knew from the context that the "people" were Jewish. And those who today read this quotation cannot but conclude the same. This second example, given at court, obviously is also the source of the plural form "some instances" used in the judgment. We should not be afraid of applause from the wrong side if we say, Well, in THIS case, the IMT erred. The judges did their best, but they were not infallible. In discussions, I always point to the fact that none of those convicted at Nuremberg was sentenced for having made soap out of Jewish (or "people's") corpses. Believers in the "Jewish soap" legend - and not the "Revisionists" - have made the "soap" a metaphor for the Holocaust in public opinion all over the world and, alas, also an easy target for the deniers. Not least due to a passage in the wording of the judgment of the Nuremberg trial. "Jews and Philosemites, as well as Holocaust deniers, read from this passage that the IMT stated that Jews were turned to soap"
"Jews and Philosemites"? All Jews think alike? All "Philosemites" think alike? They all "read" this or that into that passage? "That Rudenko does not mention "Jews" but only "people" was in line with official Soviet speech regulations, but everybody in the court knew from the context that the "people" were Jewish. And those who today read this quotation cannot but conclude the same. This second example, given at court, obviously is also the source of the plural form "some instances" used in the judgment." I don't think that's correct. Some would assume Jews. Others would assume non-Jewish victims (Poles and other Slavs). Others would assume a mix. Given the Soviet death toll, which referred not to Jews but to people in general, there was enough wiggle room. to your first objection: I feel there is a linguistic problem. "Jews" (without the definite article "the") in English means unambiguously "a deliberately not precisely defined, non-void subset of the set of all Jews". It never means "all Jews," otherwise you must say "THE Jews." So, from my wording, it is clear that I did not say that ALL Jews/Philosemites/HDers think so, but some of them, and that I can prove by giving examples. 'The gassing of unbelievable numbers of people took place upon the arrival of transports from various countries: France, Belgium, Holland, Greece, Italy, Hungary, Czechoslowakia, Germany, Poland, the USSR, Norway, and others. The new arrivals had to pass before an SS doctor or else before the SS commandant of the camp. The latter pointed his finger to the right or the left. The left meant death by gas. Out of a transport of 1,500, an average of 1,200 to 1,300 were immediately to be gassed. Rarely the quota of people sent into the camp was a little higher. It often occurred that the SS doctors Mengele and Thilo performed this selection while whistling a lively tune. The people destined to ne gassed were obliged to strip in front of the gas-chambers, after which they were driven with whips into the gas-chambers. Then the door of the underground gas-chamber was closed, and the people were gassed. Death occurred approximately 4 minutes later. After 8 minutes the gas chamber was opened, and workmen belonging to a special commando, the so-called Sonderkommando, transported the bodies to the cremation ovens which burned day and night. There was a shortage of ovnes at the time of the arrival of transports from Hungary; consequently enormous ditches were dug for the purpose of cremating the bodies. Fires made of wood soaked in gasoline were laid in these ditches and the bodies were thrown into them. However, the SS men frequently hurled live children and adults into these ditches, where these unhappy victims died a terrible death. To save gasoline, the fats and oils necessary for the cremation were partly derived /p.175/ from the bodies of the gassed people. Fats and oils for technical purposes and for the manufacture of soap were also obtained from these corpses'" (Statement of Gen. Rudenko on Feb 8, 1946; IMT Blue Series vol. VII, 174-175). Would you not agree that - apart from some minor inaccuracies - this is exactly the description of the extermination process of the Jews at Auschwitz-Birkenau, even if in _this_ quotation the word "Jew" is not mentioned? Only Jewish transports were selected at the Ramp, and from Hungary there came also only Jews in such transports to Auschwitz. It is my guess, admitted, that the judges at Nuremberg knew this, because Auschwitz was not only mentioned here at the trial (I am afraid, I am one of the few who _really_ read all 22 volumes of the Blue Series). But I am convinced that everybody who has a minimum knowledge of that what happened in the Holocaust and who reads this passage, will say, Well, those "unbelievable numbers of people" were Jewish. Or could you give another, more convincing interpretation for the - indefinite - plural form "in some instances"? Joachim, if you didn't mean all Jews, what do "Jews and Philosemites, as well as Holocaust deniers" and "Jews and HDers alike are right" mean? That "some" Jews, some Muslims, some dwarves and some cops believe in this is self-evident. Saying it is redundant, in my opinion. "Some Jews and some Philosemites, as well as some Holocaust deniers, read from this passage that the IMT stated that some Jews were turned to soap..."
"Here some Jews and some HDers alike are right, regretfully." This doesn't make much sense to me... Because of redundancy. Just as well one might have said "some people". Then again, maybe I simply don't understand your point. "Would you not agree that - apart from some minor inaccuracies - this is exactly the description of the extermination process of the Jews at Auschwitz-Birkenau, even if in _this_ quotation the word "Jew" is not mentioned?" That is rather irrelevant, in my opinion. Sure, source of the description is the process of the Jewish extermination. But we're dealing with a distorted Soviet public version, not with what was in reality. And in the distorted Soviet public version these weren't necessarily the Jews. Sure, some people would assume that those were Jews. Other people (e.g. most Soviets) - wouldn't. The most general Soviet public version doesn't have a counterpart in reality, it is an artificial construct (not a "falsification", etc. though). Its 4,000,000 Oswiecim victims indeed had no definite ethnicities. It was "somewhat like" reality (which is, ~1,000,000 victims, most of them Jewish), but it wasn't reality. Ethnicities of 4,000,000 were an objective wildcard, they were deliberately undefined, and anyone could assume what they wished. So, no, within the framework of the Soviet public version there was no assertion about the soap made from Auschwitz Jews. On the other hand, who cares if it were Jews or someone else? Soap wasn't made there, period. I am afraid we are discussing the issue on two different levels. You say, from the point of view of an expert in Holocaust history, What Joachim says, is "redundant," it is well known - no soap was made from Auschwitz victims. Period. You are absolutely right. And it would be really fine if we could close the issue forever with this remark. But the "Jewish soap" story long since has become a political issue. Let me explain it by two examples from recent times. At the December 1998 Washington conference on Holocaust era assets, the representative of the government of the Russian Federation stated in his speech: "A prisoner brought in revenue even after death ... soap was manufactured from the remains ...", and on January 24, 2005, at the United Nations special session commemorating the 60th anniversary of the liberation of the Nazi concentration camps, the deputy prime minister of the State of Israel, in his address to the assembly said: "Could anything be worse than ... to take the proud Jewish citizens of Vienna, Frankfurt and Vilna and even Tunisia and Libya ... [and] to turn them into numbers, to soap, ... " Both speakers were high-ranking political representatives of their people at an international top event. I feel one has to take their statements seriously, and they – not their possible ghostwriters – are responsible for that what they told the world in the name of their countries. In principle, I show very little interest in that what HDers and "nameless" believers tell us about "Jewish soap." They repeat themselves ad nauseam. I collect their statements only occasionally and first and foremost for curiosity. Much more important are other voices. I have found many dozens of public statements made by Jewish community leaders, by university professors (even of history! ), educators, clergymen, politicians, writers, artists, syndicated columnists, and other intellectuals who present as a seemingly doubtless "fact" that soap was made from Jewish corpses at Auschwitz (or Dachau, Bergen-Belsen, Mauthausen, Stutthof, or at some undefined “Nazi camps”). In addition, I found quite a few Holocaust museums, textbooks and teaching aids still today expressing the same point of view. My “collection” spans the whole of Europe and both Americas and includes South Africa, Australia, and New Zealand – a not unimportant part of the civilized world. Those who made these statements, or those who run the museums or write the textbooks etc., are well-educated people, in general holding an academic degree in the humanities, and their word has weight in society. Their influence on the public perception of the Holocaust and its remembrance should not be underestimated. If one traces back where their "knowledge" about “Jewish soap” comes from, one will arrive, in the end, either at the “RIF” legend (which we need not discuss further) or at the IMT judgment. And there making soap from Nazi victims is indeed mentioned, even "in some instances,” and it is mentioned under the heading "Persecution of the Jews." The plural form “instances” was certainly not chosen by chance. Two cases of soap-making were explicitly mentioned during the trial: Auschwitz and Danzig. The indefinite numeral “some,” in addition, points to the fact that the Tribunal obviously didn’t want to rule out the possibility that soap was made from Nazi victims also at other places, in accordance with the stance adapted by the Tribunal that in all concentration camps the same crimes were committed (“It seems established in the eyes of the Tribunal, that excesses, ill-treatment, and crimes which our witnesses have described to you, occurred repeatedly _and were identical in all the camps_.” M. Dubost, French prosecutor, on January 29, 1946. IMT vol. VI, 321; emphasis mine). Now, if somebody comes and says, “The IMT said in its judgment that the Nazi Germans turned Jews to soap,” I cannot but say, “Well, it isn’t written literally so, but you’re right in principle. It follows from the heading, the wording, and the context, and everybody who has a basic training in text interpretation will come to the same conclusion.” But regretfully in this case the IMT erred, a fact from which individuals with different attitudes toward the Germans/the Nazis and the Jews/the Holocaust have drawn different conclusions. I have always said that those who sweepingly discredit the IMT because of the soap error in its judgment only show their deep ignorance. But I will also continue to criticize those who base their faith in the “Jewish soap” legend on the judgment of the IMT. Intellectual honesty and clarity demand it. And maybe even the memory of those who were murdered in the Holocaust. Sorry, but I feel I should come back to the problem of evidence presented at court related with Art. 19 and 21 of the IMT charter, because it has in fact far reaching consequences. In principle, I agree with your arguments. But not only "Revisionists" obviously see things differently. "W toku sledztwa zbadano takze materialy archiwalne procesu odbywajacego sie przed Miedzynarodowym Trybunalem Wojskowym w Norymberdze w sprawie Glownych Niemieckich Przestepcow Wojennych. Ustalono iz w dniu 19 lutego 1946 roku w trakcie rozprawy, sowiecki oskarzyciel, prokurator Smirnov przedstawil dowody dotyczace produkcji mydla z tluszczu ludzkiego w Instytucie Anatomicznym Akademii Medyczny w Gdansku. Wsrod tych dowodow przedstawiono gotowe i na wpol gotowe mydlo oznaczone jako dokument dowodowy USSR-393, oraz protokol wyjasnien Zygmunta Mazura zlozonych w trakcie przesluchania przed delegacja Glownej Komisji Badania Zbrodni Niemieckich w Polsce - oznaczony jako dokument dowodowy nr USSR-197, kopie przepisu - receptury na produkcje mydla z tluszczu ludzkiego [the last 7 words emphasized in the text; J.N. ], oraz zeznania dwoch brytyjskich jencow wojennyh przymusowo zatrudnionych w Instytucie Anatomiiw Gdansku: Johna Henry Wittona - dokument dowodowy nr USSR-294, oraz zeznanie Williama Andersona Neely - dokument dowodowy USSR-272, ktorzy potwierdzili znany im fakt produkcji mydla z tluszczu ludzkiego w tym Instytucie. Trybunal zgodnie ze swoim statutem, przyjal te dowody jako wiarygodne i udowodnione zgodnie z wnioskiem oskarzyciela, zamieszczajac, w tresci wyroku Miedzynarodowego Trybunalu Wojskowego w sprawie Glownych Niemieckich Przestepcow Wojennych, ogloszonego w Norymberdzie w dniach 30 wrzesnia i 1 pazdziernika 1946 roku adnotacje o prowadzeniu przez Niemcow prob zuzytkowania tluszczu ludzkiego do przemyslowego wytwarzania mydla w Instytucie Anatomii w Gdansku w okresie II wojnej swiatowej." "In the course of the investigations also archival material from the trial of the major German war criminals before the IMT at Nuremberg was studied. It could be established that in the course of the proceedings, on February 19, 1946, the Soviet prosecutor, prosecuting attorney Smirnov, presented evidence concerning the production of soap from human fat at the Anatomic Institute of the Danzig School of Medicine. Among this evidence there was presented finished and half-finished soap, marked exhibit USSR-393, as well as the protocol of statements by Zygmunt Mazur made in the course of an interrogation by the delegation of the Main Commission for the Investigation of German Crimes in Poland - marked exhibit USSR-197, a copy of a recipe - a recipe for the manufacture of soap from human fat [these words are emphasized in the original; J.N. ], as well as the testimonies of two British POWs, forced laborers at the Danzig Anatomic Institute: of John Henry Witton - exhibit USSR-294, and the testimony of William Anderson Neely - exhibit USSR-272, who confirmed the fact, known to them, of the production of soap out of human fat at this Institute. In accordance with its statute, the Tribunal accepted these exhibits as credible and proven, as requested by the prosecutor, and included a remark about attempts made by the Germans to utilize human fat in the industrial production of soap at the Danzig Anatomic Institute during World War II, in the judgment of the IMT in the case of the German major war criminals, pronounced at Nuremberg on September 30 and October 1, 1946." The Committee for the Investigation of Crimes Against the Polish People (under the umbrella of the Institute of National Remembrance), headed by the Deputy State Attorney of Poland, is not an independent scholarly research institute, but a government agency. Its staff are professional jurists. It seems that their view of the role that Art. 19 and 21 of the IMT charter played, at least in the "soap" case, is closer to the "Revisionists'" view than to Roberto Muehlenkamp's view. «In accordance with its statute» probably refers to Article 19 and means that, just like a West German court according to article 261 of the Strafprozessordnung, the IMT was not bound by technical rules of evidence in deciding whether to admit evidence or accept it as credible. Ask those professional jurists whether they think any rules of evidence known to them would have necessarily avoided this admission/acceptance in the «soap case». "The Tribunal ... shall also take judicial notice of official government documents and reports of the United Nations, including the acts and documents of the committees set up in the various allied countries for the investigation of war crimes ... "
The problem I'm adressing here is not that the IMT accepted a - flawed - Soviet investigation report as - I quote the IPN - "credible and proven," and that it incorporated, though cautiously, the accusations contained in this report in its final judgement under the heading "Persecution of the Jews." I won't blame the judges at Nuremberg for this. I fully agree with you that what they did in this case, might have occurred at any other court at that time, and I hope we'll agree that the judges at the IMT were also human beings like you and me and that they were not infallible. A serious problem, however, arises from the way, in which the fact that the IMT accepted the Soviet "soap" report as credible, is treated _today_. Polish, French, German and other countries' anti-HD laws - and the respective supreme court decisions - have made the IMT and its judgement a non-disputable issue. Therefore "soap believers" who argue "The IMT accepted the Soviet version, ergo it is true" have the Law behind them, and the IPN, a Polish state institution, could not but call the Soviet soap report, accepted by the ITM, also "credible and proven." >"The Tribunal ... shall also take judicial notice of official government documents and >reports of the United Nations, including the acts and documents of the committees set >up in the various allied countries for the investigation of war crimes ... "
Among this evidence there was presented finished and half-finished soap, marked exhibit USSR-393, as well as the protocol of statements by Zygmunt Mazur made in the course of an interrogation by the delegation of the Main Commission for the Investigation of German Crimes in Poland - marked exhibit USSR-197, a copy of a recipe - a recipe for the manufacture of soap from human fat [these words are emphasized in the original; J.N. ], as well as the testimonies of two British POWs, forced laborers at the Danzig Anatomic Institute: of John Henry Witton - exhibit USSR-294, and the testimony of William Anderson Neely - exhibit USSR-272, who confirmed the fact, known to them, of the production of soap out of human fat at this Institute." If, as the above suggests, the exhibits presented by the Soviet prosecutor were introduced as evidence at the trial, then the IMT’s findings of fact were based on this evidence, and not on judicial notice of the contents of the Soviet report based on this evidence. The IMT thus applied Article 19 of the Charter, and not Article 21. Okay, I think you're right with Article 19. The sad fact, however, remains, that, in the soap case, the "evidence", as well as the Soviet report based on that "evidence," was flawed, but uncritically taken at face value by the judges and so has found its way into the final judgment of the Tribunal under the heading "Persecution of the Jews." And so it's difficult to criticize it, especially under HD Law, which itself is a result - and a tool - of history politics and has made "Nuremberg," in a certain sense, "untouchable." a) They themselves, having heard for years the soap rumors that circulated not only in the occupied East, but also in Germany proper, believed that there must have been at least a core of truth in these rumors - please remember that even Himmler, when hearing about these rumors, wrote a letter to Gestapo Head Mueller urging him to guarantee that such a "misuse" would not happen in any case. 2) There were much more serious accusations directed immediately against the defendants, and the defense counsel had to focus on more important issues. But not only in the soap case, the fact that something was presented as "evidence" at Nuremberg was (and in many cases, still is) used in history politics as alleged proof of its veracity. The false accusation, e.g., that the Germans perpetrated the Katyn massacre was officially told at school in communist Poland and Germany (and upheld in fellow traveller circles in the West) until the fall of the Iron Curtain, and it was always "proven" by quoting the "evidence" that the Soviets produced at Nuremberg. From Poland it is known that teachers and students who expressed doubt about German guilt at Katyn suffered persecution by the State authorities. (Quote:)Etwa 4 Millionen Menschen sind im Konzentrationslager Auschwitz-Birkenau ums Leben gekommen - 4 Millionen Menschen aus allen von den Nazis besetzten Ländern. Diese Zahl wurde sowohl auf Grund der Terrainbesichtigung und Vernichtungsanlagen, als auch der Dokumente festgestellt, sowie als Ergebnis von Verhören hunderter, dem Tode entronnener Häftlinge und den Gutachten von Sachverständigen. Die Ausserordentliche Sowjetische Kommission zur Untersuchung von Nazi-Verbrechen stellte fest, dass "in Auschwitz nicht weniger als 4 Millionen Personen ums Leben gekommen sind". Der Höchste Nationalgerichtshof in Polen stellte fest, dass "in Auschwitz etwa 4 Millionen Personen ums Leben gekommen sind". Der Internationale Militärgerichtshof in Nürnberg stellte fest, dass "in Auschwitz über 4 Millionen Personen ums Leben gekommen sind. "(End of quote) Period. Brochures like these, edited also in many other languages and a million times distributed to Auschwitz visitors, have undoubtedly shaped the public perception of "Auschwitz" far more than the books of Reitlinger (1953), Hilberg (1961) or the article of Wellers (1983), all of which had only a very limited readership. The trump argument in the Auschwitz brochure obviously was "Nuremberg." It follows not only from the arrangement of the quotations (the argument considered to be the strongest placed at the end), but also from the rise in the numbers: from "no less than" to "approximately" to "more than" four million victims. What matters here is not what the judges said exactly at Nuremberg, but what those who had the power of definition made out of it. As so often in "intelligent" HD cases (I mean not those "stupid" cases, where someone says that there was no Holocaust or no gassing of Jews), the opponents position their artillery on different battlefields: the "Revisionists" on the field of reception history, their opponents on the field of event history. They fire salvoes after salvoes and wonder why they don't hit the enemy. "Nuremberg" can serve as a prime example. I know this thread is old, but I just came across it and would like to add a comment. I've always found the denier's citation of the IMT not being bound by technical rules of evidence perplexing, if not amusing. As a litigator here in California for 10 years, I will relate some comments based upon my experiences in the American legal system. These observations apply to both state and federal court. The purpose of rules of evidence in the American system is to keep evidence away from the jury that is deemed to be of insufficient weight such that the risk that the jury will over-weigh the evidence supersedes its presumably limited evidentiary value. In America, we have a very suspicious attitude about juries in that we tend to think that they are unable to separate the evidentiary wheat from the evidentiary chaff, so to speak. This, however, is not a universal notion. The counter-veiling view is that you just dump "everything but the kitchen sink" on the jury and let them sort it out. This view pre-supposes a high degree of faith in the ability of typical jurors to assign proper weight to individual pieces of evidence. Which view is "right" or "wrong" doesn't really matter for purposes of this discussion. In the American system, the judge in a jury trial acts as a "gatekeeper" for the jury, in that he or she screens the evidence so that only the most reliable evidence is considered by the jury. Other evidence may have some probative value, but its value is deemed insufficient to permit consideration by a lay jury. When no jury is present, however, the gatekeeper function is irrelevant. The judge in either case must decide the admissibility of the evidence, but in a bench (non-jury) trial, the "bell has already been rung" the moment the judge, as ultimate trier of fact, sees the evidence in the context of considering whether or not it should be admitted. Consequently, there is no further purpose to exclude the evidence, because any "prejudicial" impact it may have has already been incurred by virtue of the fact that the judge who is deciding the case has already seen it. And, of course, judges (rightly or wrongly), tend to believe that they are immune to the tendency to be prejudiced and over or under weigh evidence that they see as more possible with jurors. Consequently, in bench trials, almost all evidence is let in, and in some cases, it's literally all evidence. The most common evidentiary rules that are largely jettisoned in bench trials are hearsay rules, and the general exclusion of evidence as "more prejudicial than probative" (i.e. Cal. Evidence Code section 352.) Other rules are often jettisoned as well. The only evidentiary rules that are strictly maintained in every proceeding are those related to privileged communications (i.e. attorney-client or spousal privilege), which are viewed as sacrosanct. In special proceeding such as family court, probate court, and arbitrations, which are basically all without juries, formal rules are rarely entertained. But even in regular civil court, the rules are very loose in bench trials. Finally, I would object to the denier argument that refusing to exclude evidence in a criminal trial makes the proceeding some kind of "kangeroo court" wherein justice is necessarily miscarried. The fact is, no evidence rules, or lax evidence rules, cut both ways in any given judicial proceeding. They can benefit the defense as much as the prosecution. In any event, the exclusionary view versus inclusionary view of evidence is not really an issue of the fundamental rights of criminal defendants. If the tribunal refused to permit cross-examination of prosecution witnesses, for example, or challenging of other evidence, that would be a real issue for concern as to the fairness of the proceedings. But the issue with admitting evidence in first place is more of a philosophical debate turning on the degree of faith we put in the ultimate trier of fact, and it's a debate about which reasonable jurists throughout to world can, and do, disagree. "Scrapbookpages" or "furtherglory" is a Holocaust "reviser" who selectively skirts Holocaust denial. Fascinating. Did Musmanno mis-state the date of Treblinka's becoming operational by a full year?